Capacity: 100-1000 kg/h,can be customized. 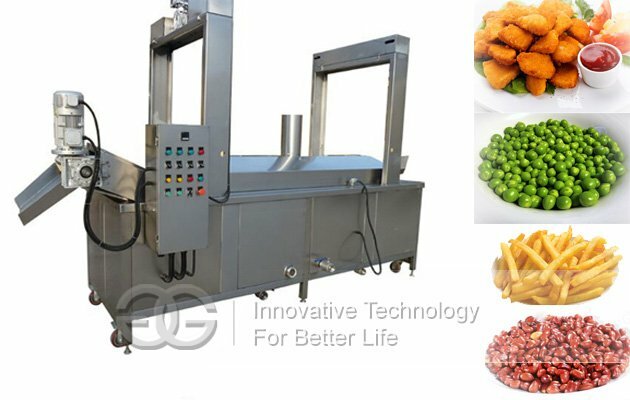 This kind of continuous automatic food deep fryer machine is mainly used to fry food, like potato chips, French fries, peanut, meat burger, chicken nuggets, etc. 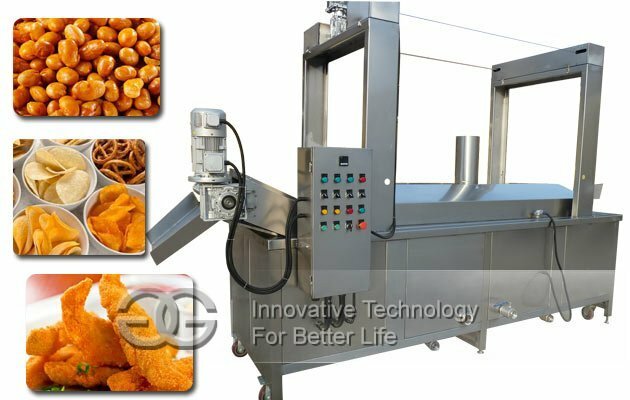 This kind of food continuous fryer machine is mainly used to fry food, like potato chips, French fries, peanut, meat burger, chicken nuggets, etc. 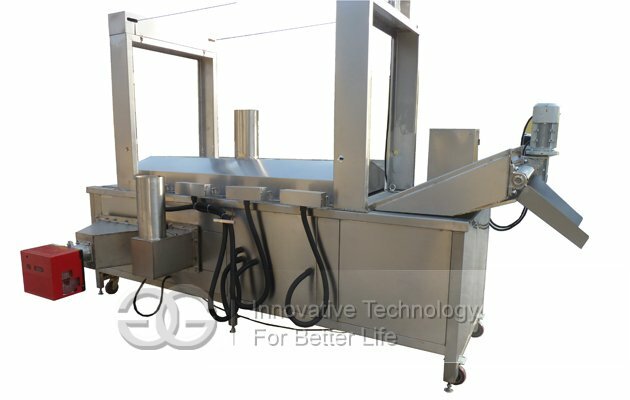 Features: This fryer machine is continuous working, with high working speed. It is automatic feeding and dischargeing. 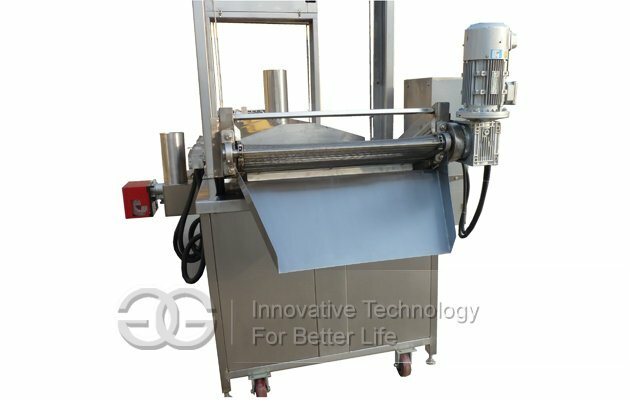 1, Mesh belt transmission adopts frequency infinitely adjustable-speed, frying time can be controlled. 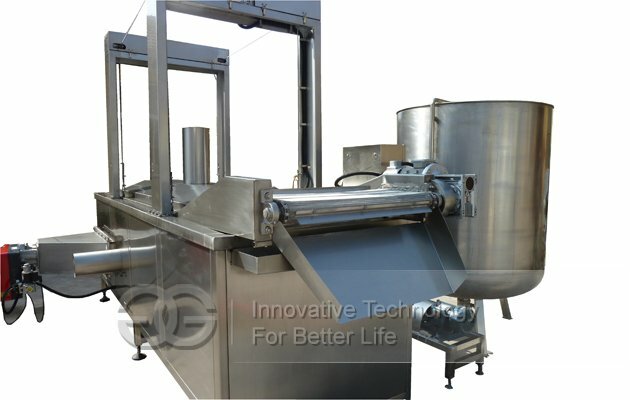 2, Equipment with automatic lifting system,oil circulation filter system,can continuously filtered oil residue, and extend the service life of cooking oil. 3, At the bottom , there is the waste discharge,Can automatically discharge dregs. 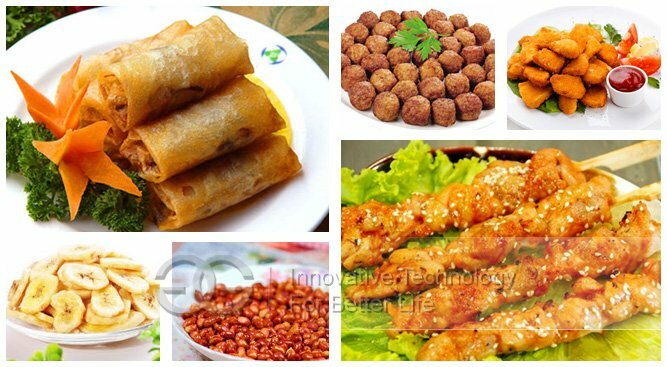 5, Suit for processing vegetable, the cooked wheaten food, the aquatic product,etc. 6, Made of SUS304 stainless steel +PLC touch screen control structure,beautiful appearence and easy operation,more upscale. 7, Available heat energy:electricity,natural gas,liquefied petroleum gas,diesel oil,coal,environmental protection,heat conduction oil furnace.